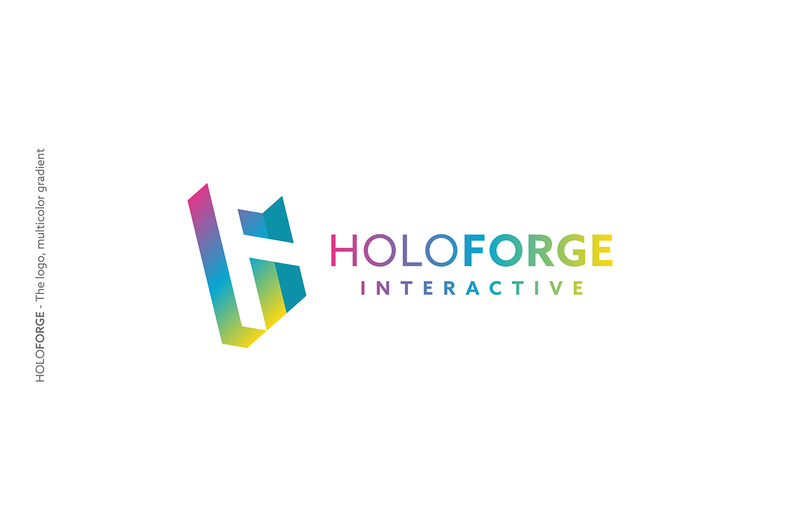 Asobo Studio is a leading video game developer based in France, created in 2002. 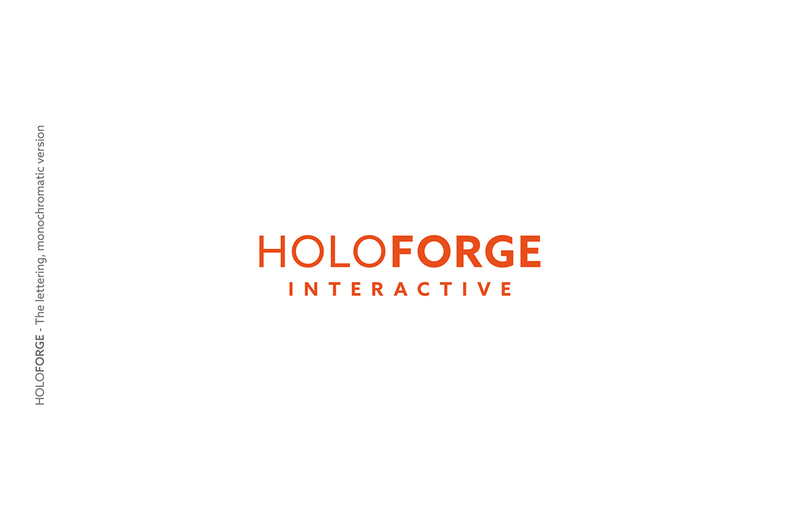 Well known for its license-based productions and family games like Disney Pixar Movies, Monopoly, Guinness Record Award Winning racing game FUEL etc. 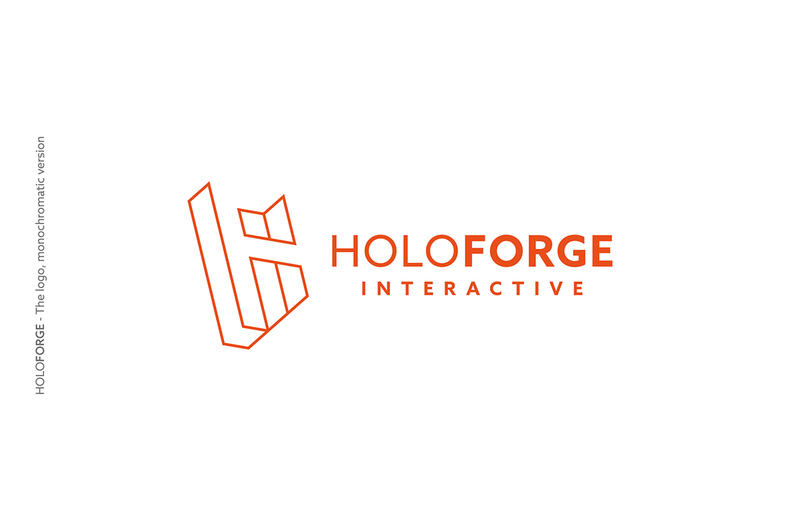 Their main partners today are reknown video game 1st parties and publishers such as Microsoft, Ubisoft, Disney, and Codemaster. 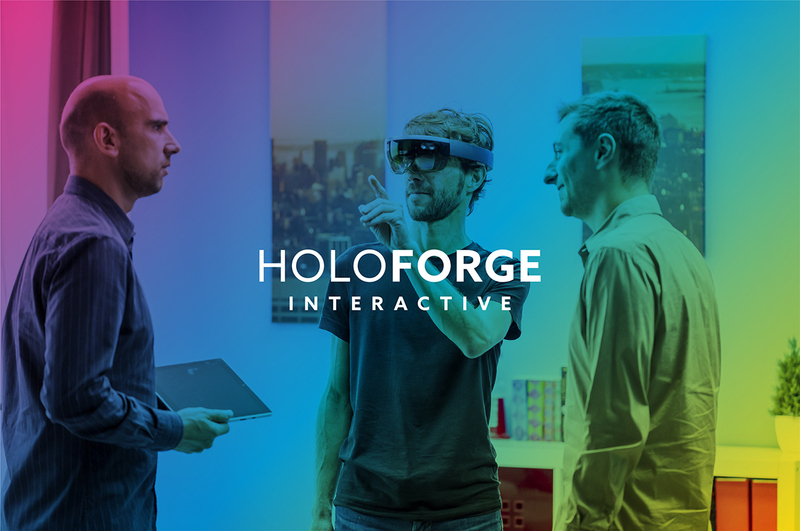 Their current work with Microsoft enabled they to create brand new High Definition Holographic Experiences, integrated in the real world and based on a new technology and device, HoloLens. 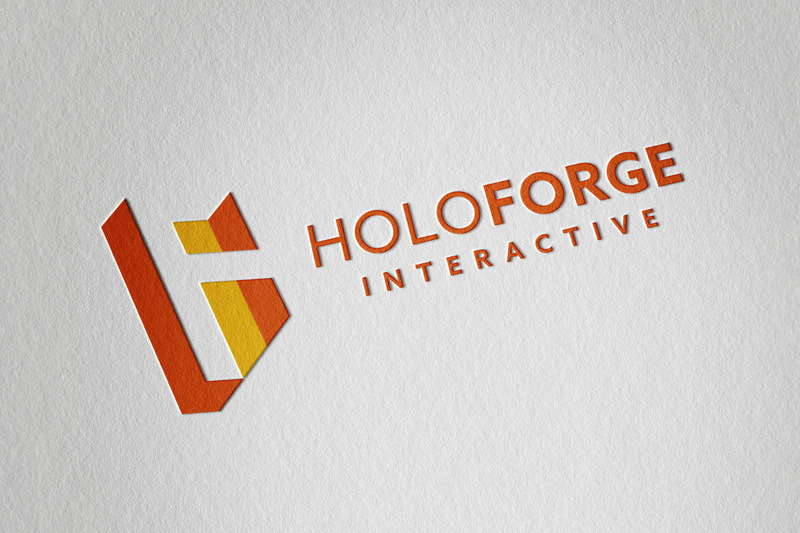 They are currently developing a new entity taking advantage of this technologically competitive advantage. 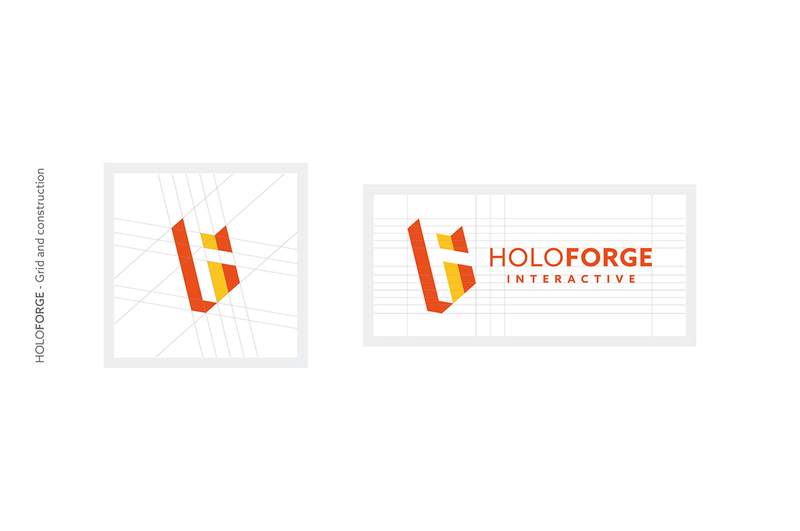 This new studio/brand is the worldwide leader in Holographic Entertainment. 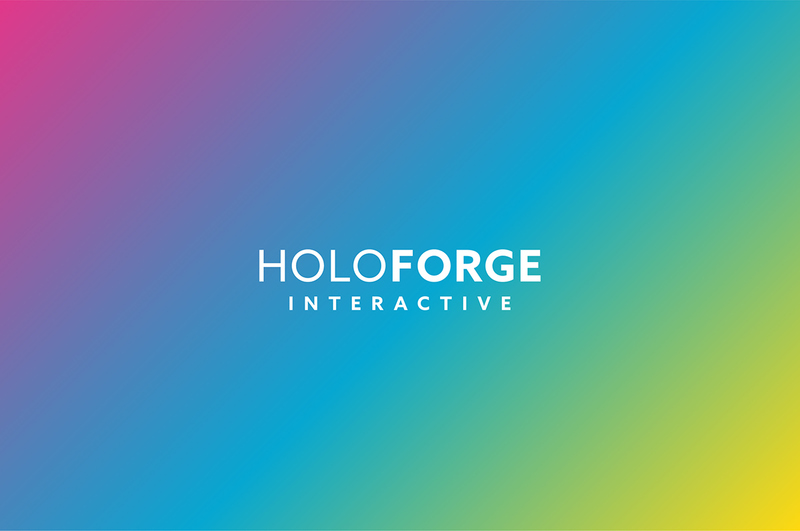 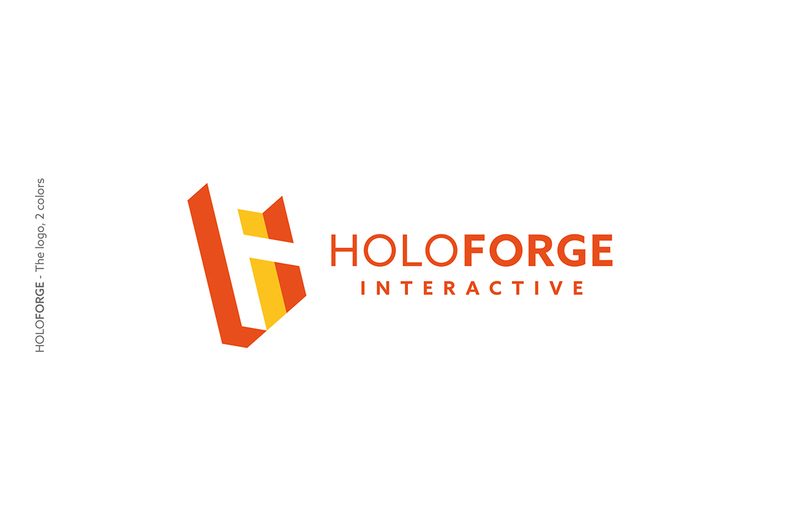 HoloForge Interactive will dedicate its work-for-hire activities (and team) to B2B partners who want to use top-notch technology as a competitive asset, showcase their products to their clients/partners/employees and make them live/interact with their services in a virtual showroom blended with real environments. 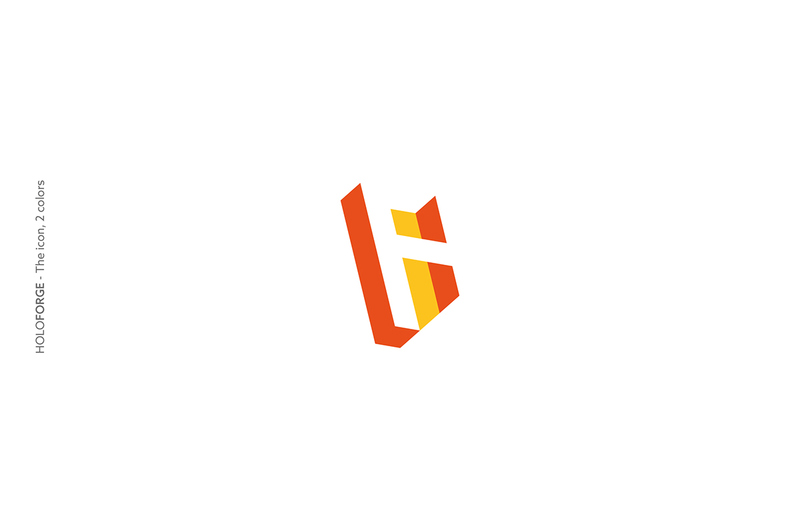 - bring something fresh and trendy. 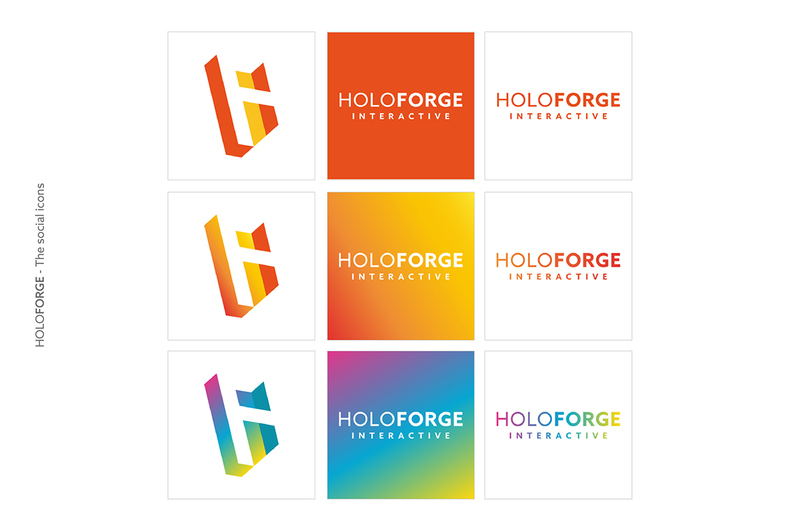 Holo is mandatory because Asobo Studio needed to be very explicit on the type of technology, Forge is a good illustration of their company DNA, it’s about: strength, power, fire, passion, enthusiasm, being active, shaping projects patiently and fervently, fusion of several fields, melting-pot, creative skills/talent, kneaded/crafted with care, some kind of fantasy, “magic”, alchemy too. 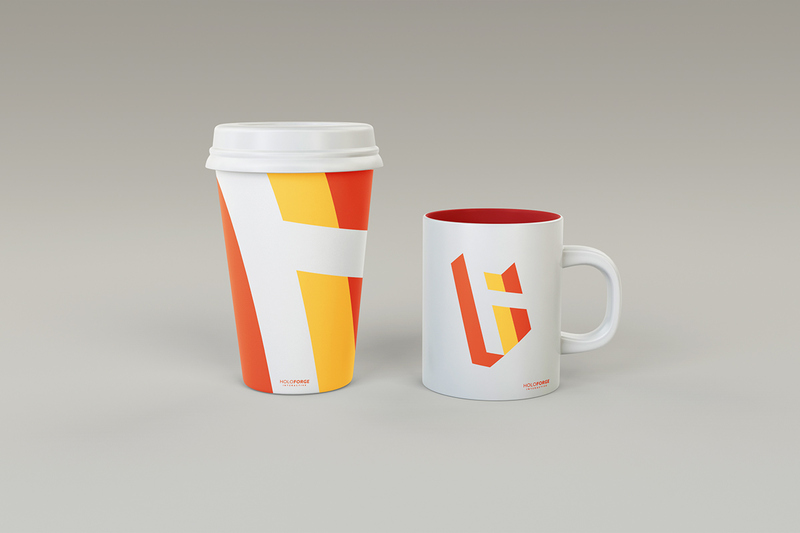 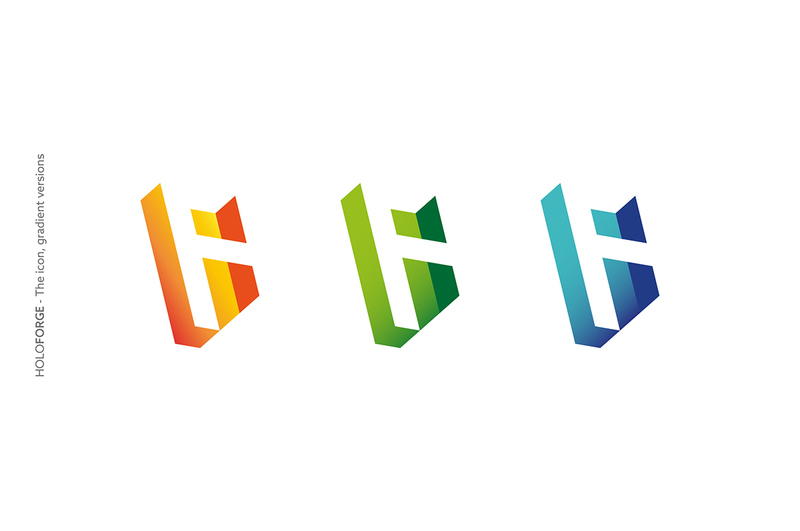 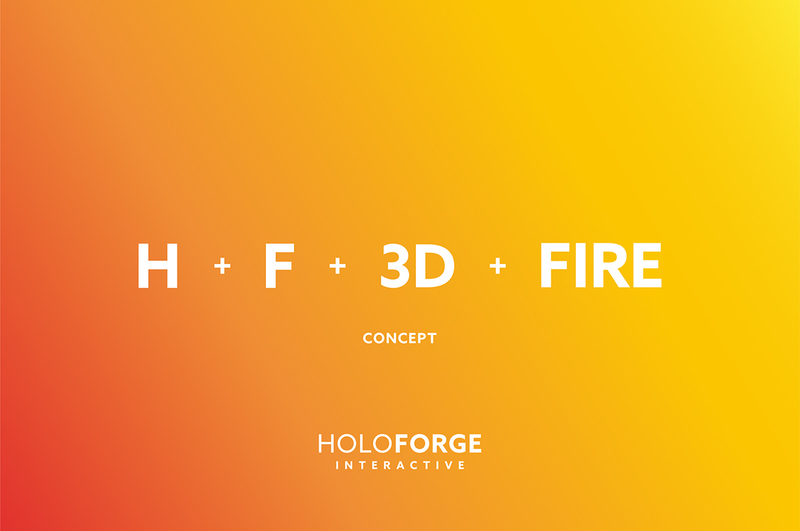 The concept for the new logo is a combination of the letters "H" (Holo) and "F" (Forge) and three-dimensional geometric shapes, which is reminiscent of the holograms. 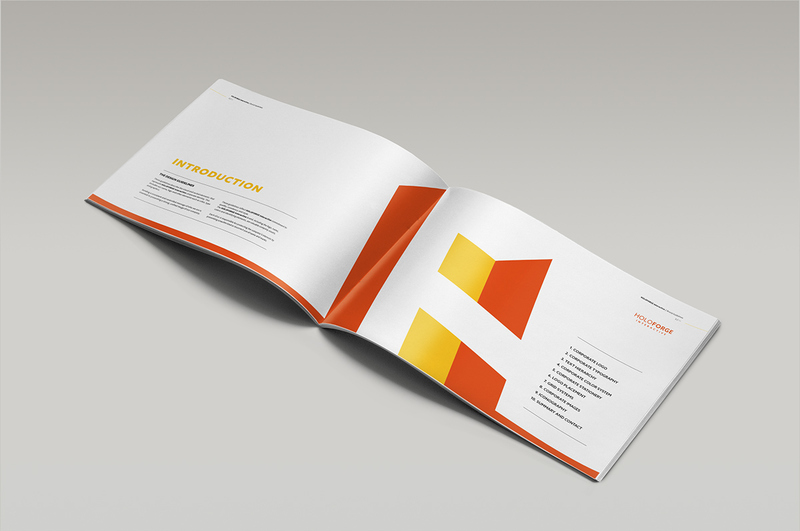 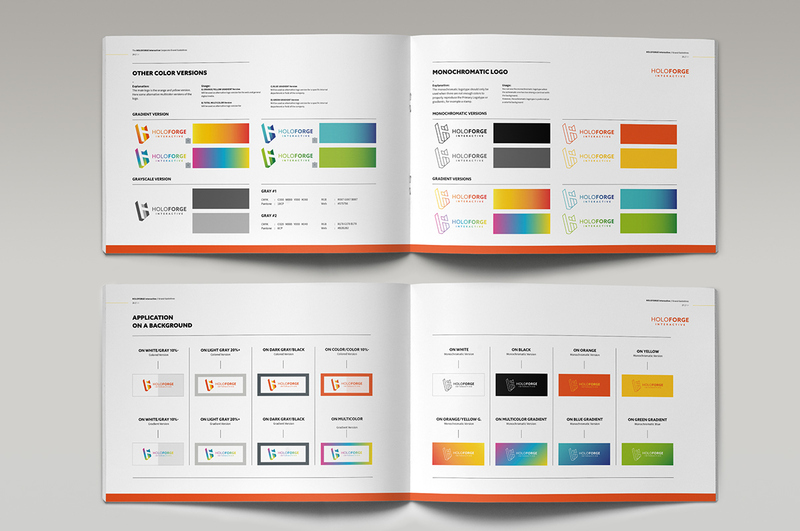 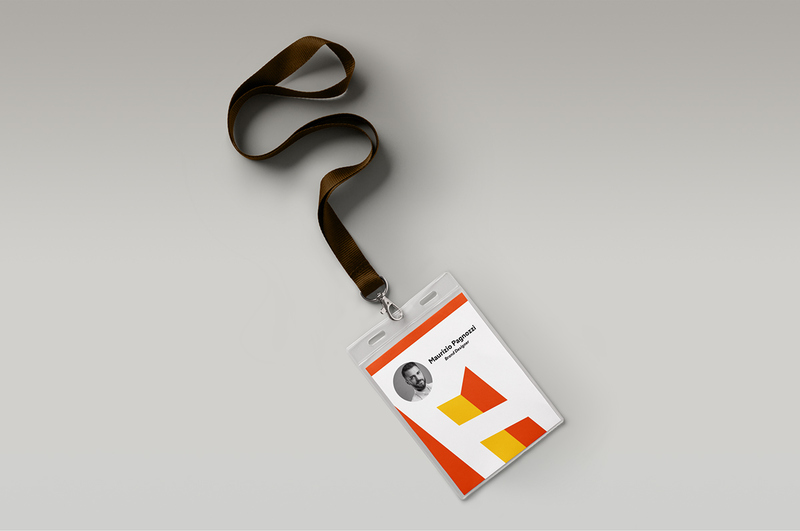 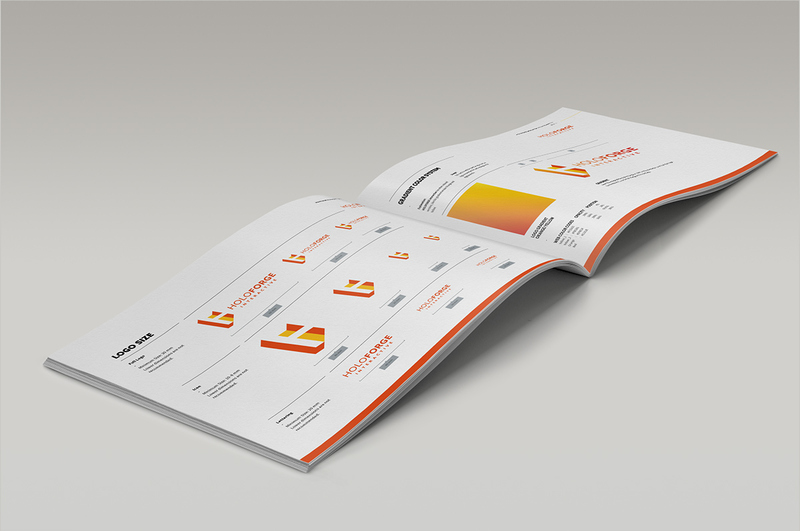 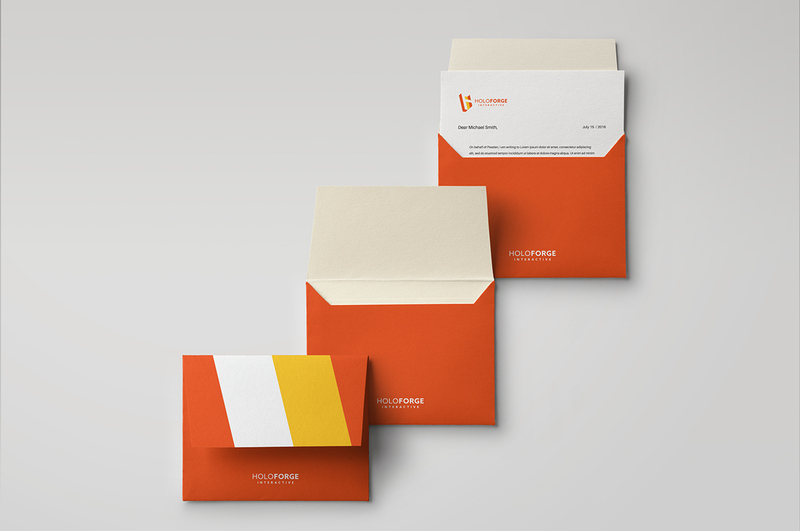 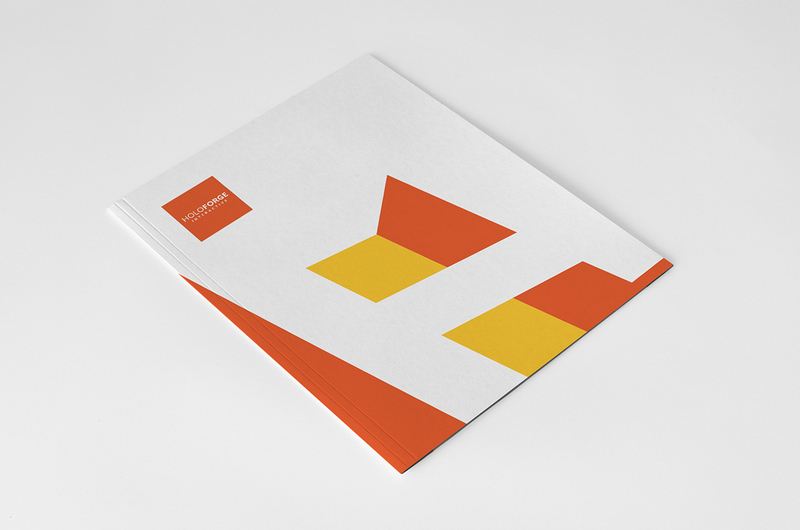 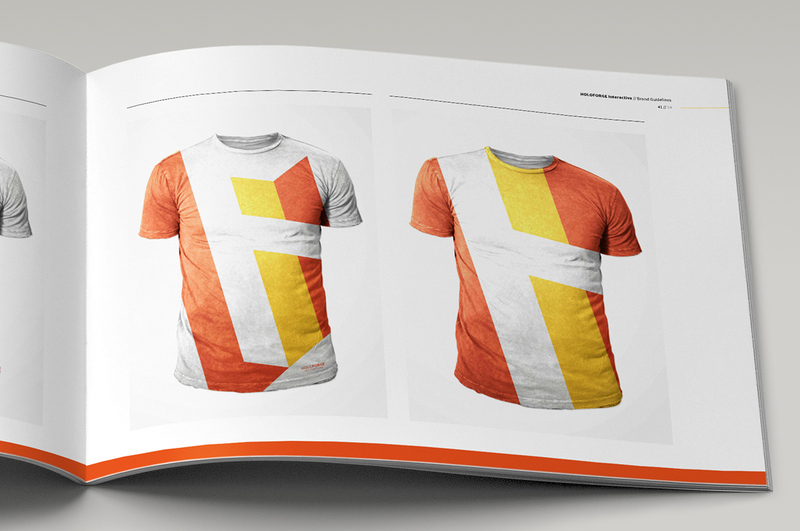 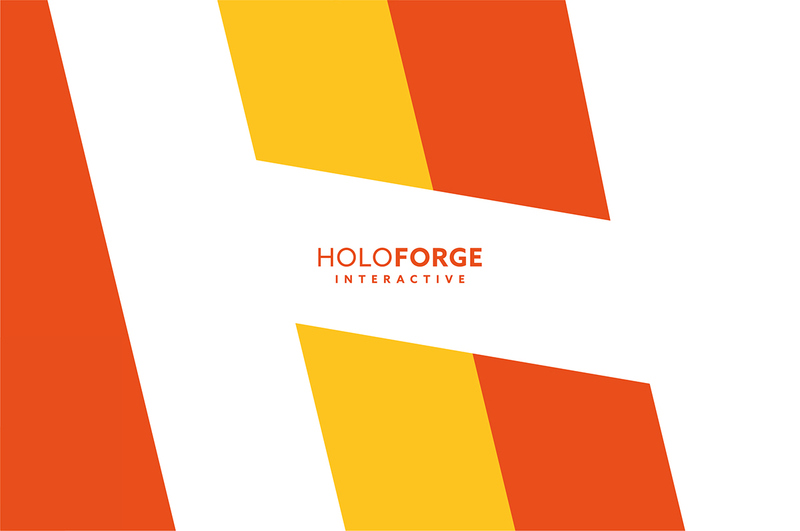 The main version of the logo is orange/yellow, the colors of forging and fire. 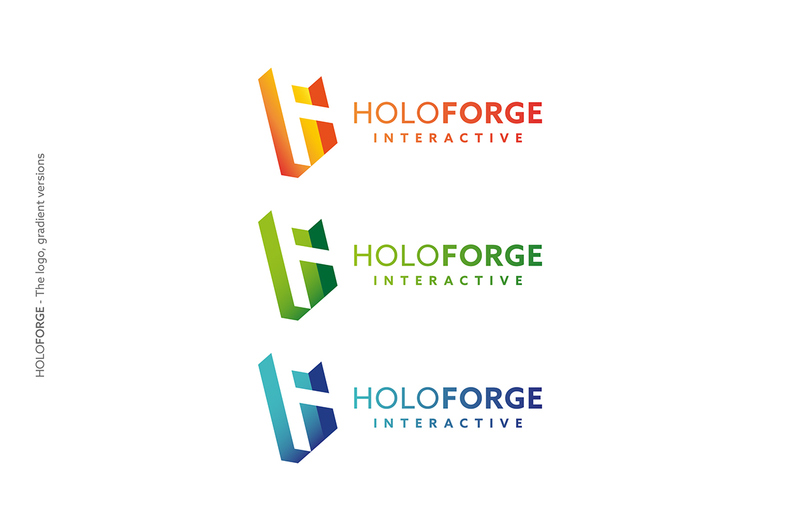 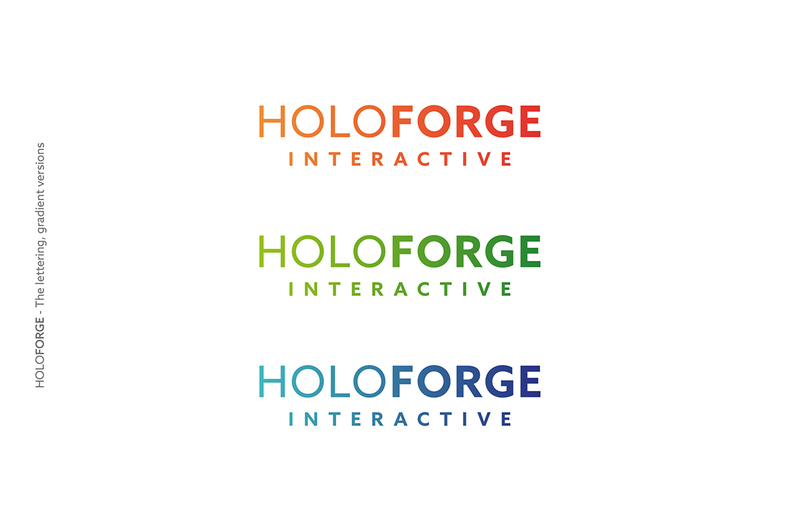 There are other versions of the logo, some with gradients, for internal departments of Holoforge and a gradient multicolor version (at the bottom of this gallery). 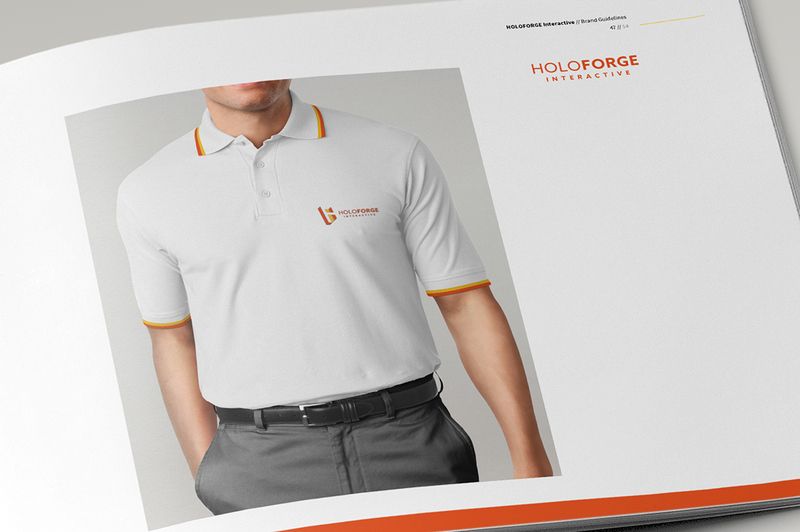 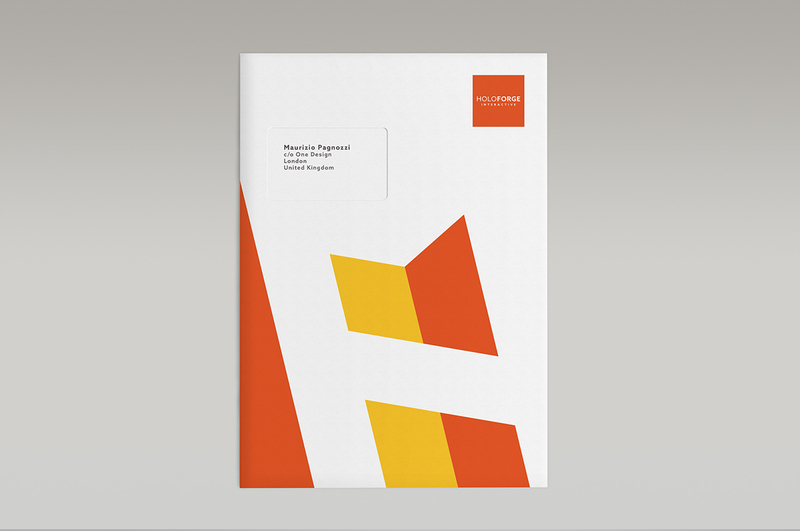 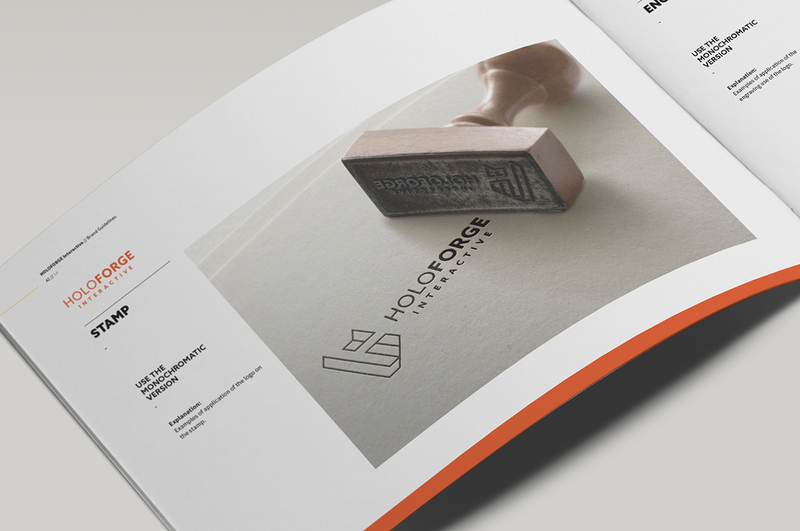 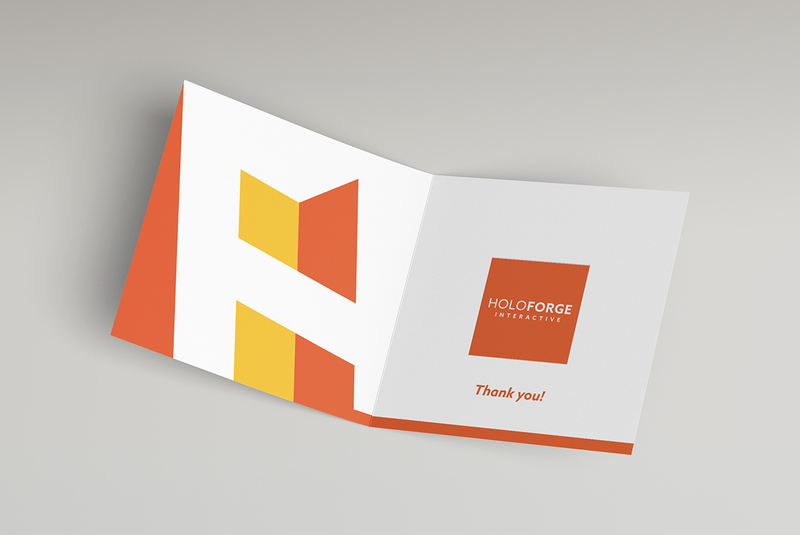 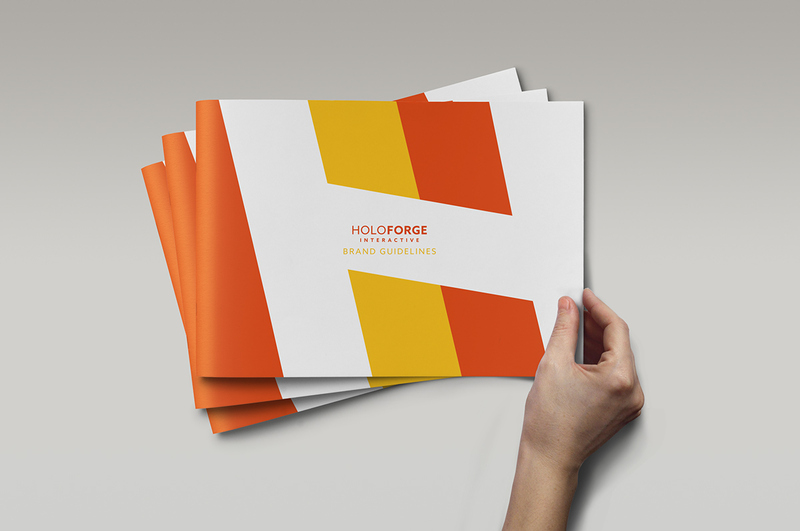 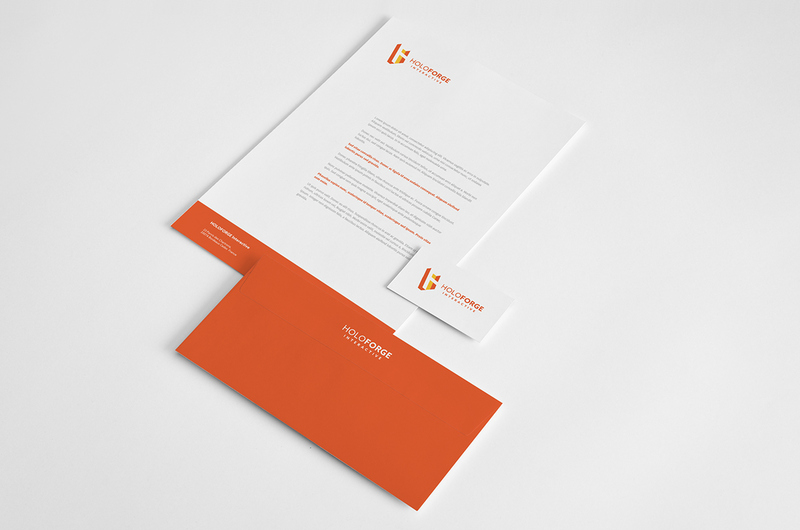 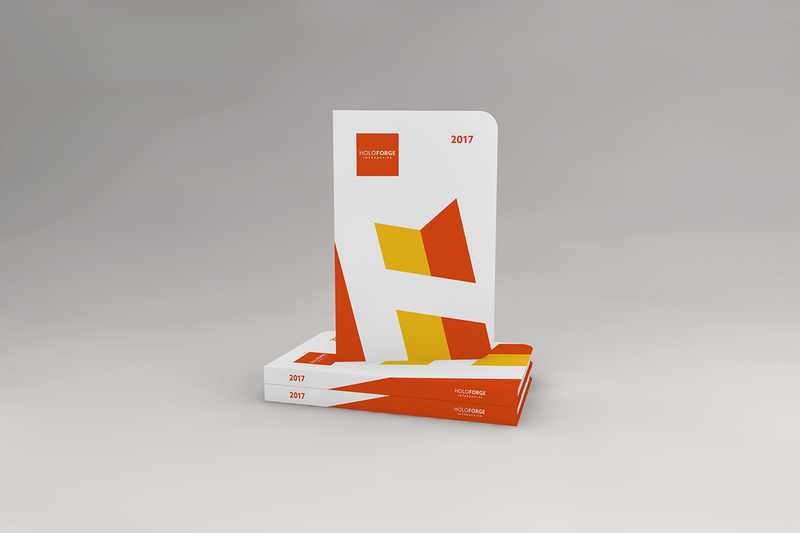 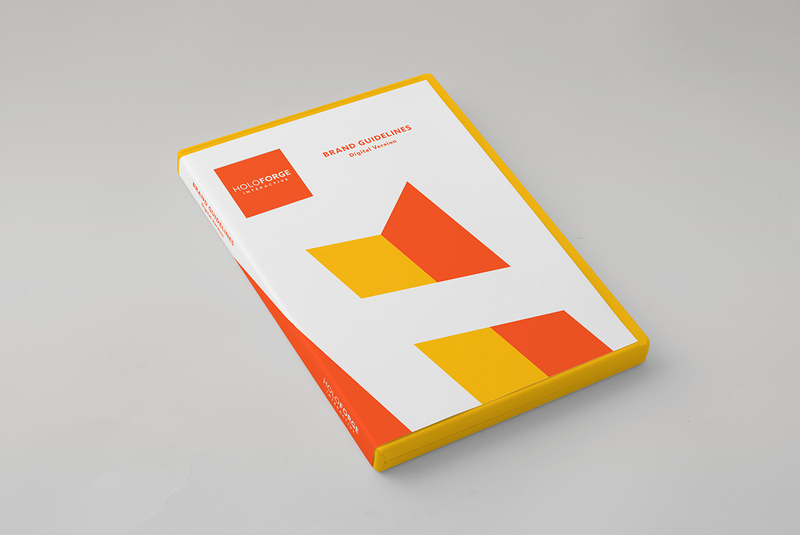 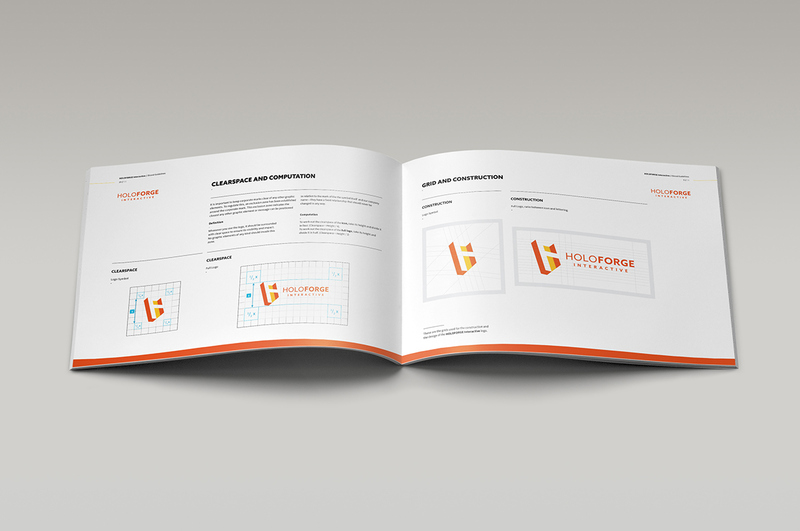 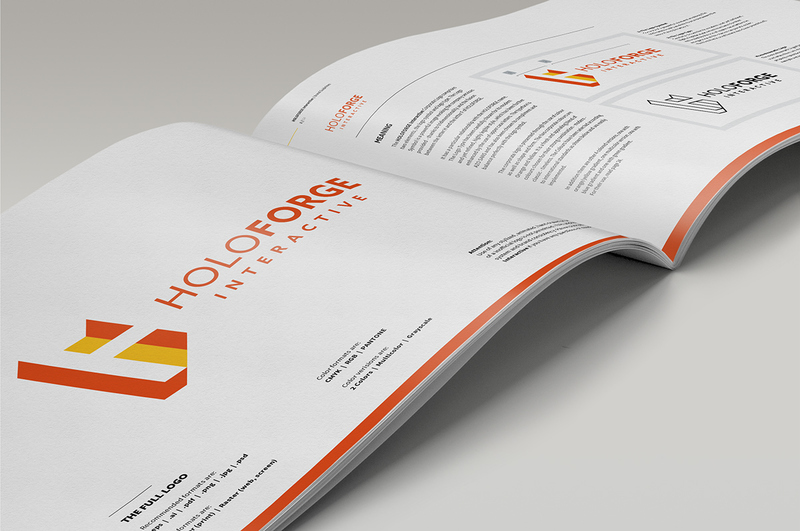 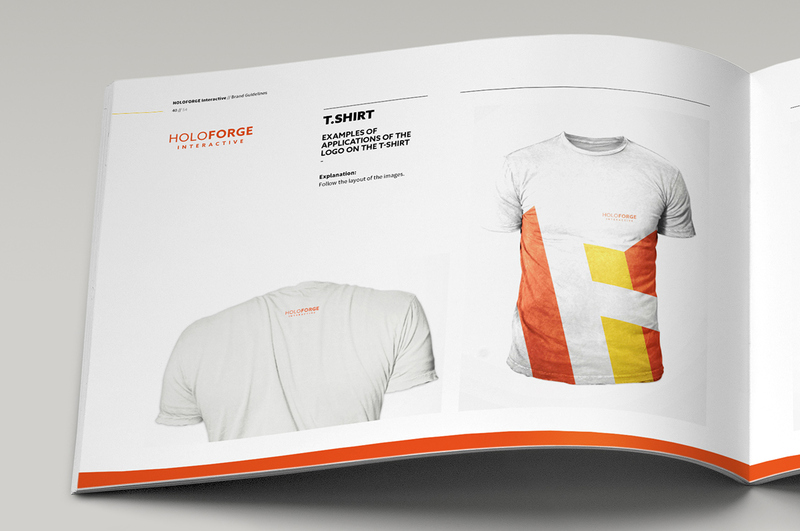 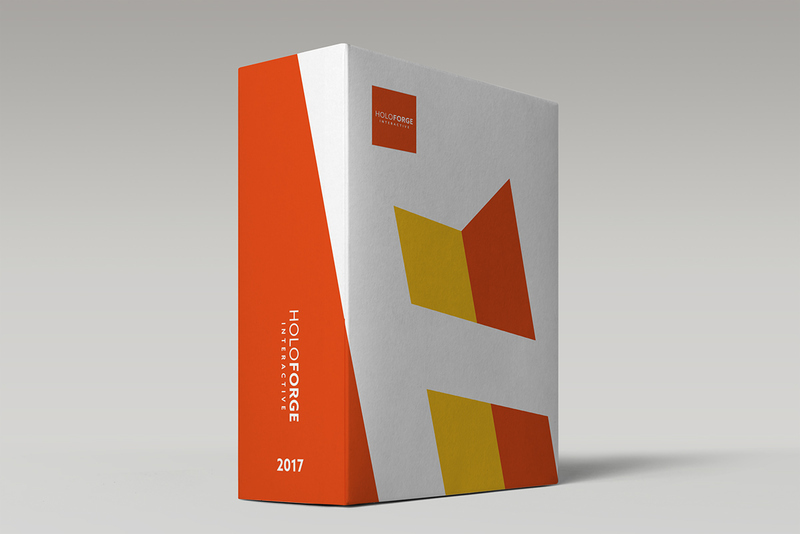 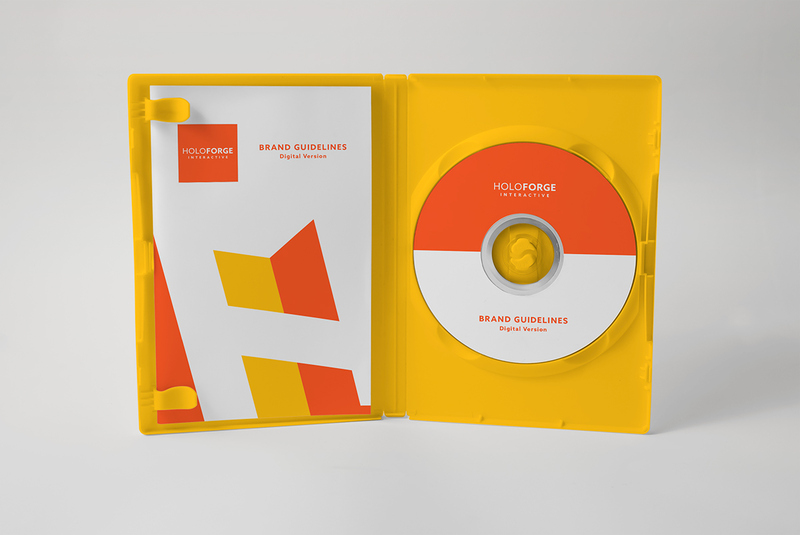 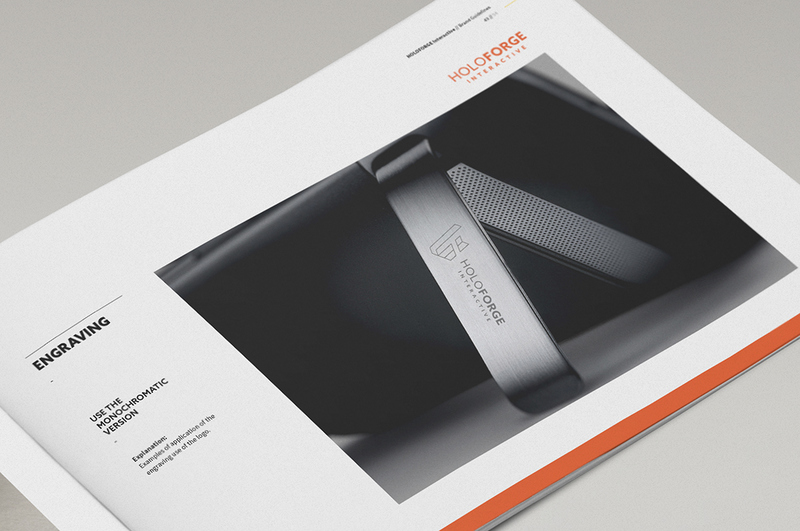 Branding project for HOLOFORGE Interactive, 2016.